Now this is one artist character combination I could stand to see a lot more of. I dig how David turns his back on illustrating Mr Boniface in the dark and instead puts Shadowman in a bright piece - still just as imposing. Valiant says: The end times are now! Jack thought he'd finally fixed his life ... and the source of his dark power. 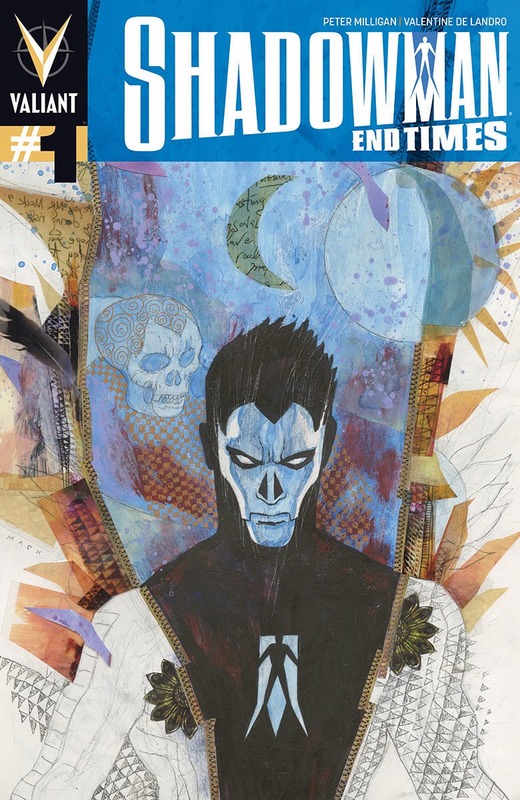 But when a figure from the past emerges with a troubling revelation about his destiny, the new Shadowman will plummet into an abyss far darker than any demon. Make no mistake ... doom is coming for Shadowman -- and it all begins here! 40 pages. "Death of a Renegade," part one! Peter Stanchek and his wayward team of teenage Renegades thought they had found freedom. They thought they could get their lives back. They thought they could bring down Toyo Harada. They were wrong. And now one of them will die. (W) Joshua Dysart (A) Clayton Henry. QUANTUM AND WOODY #9 New arc! Eric needs to know he can trust Woody ... and that means Woody needs to get a job, open a bank account, and do all the things a responsible adult does. But when a new gang of rogue mad-scientist super-criminals launch a wave of robo-crime, will Woody stop them -- or join them? What do you think? For the full list of Valiant's April 2014 solicitations, click the jump.